Whether you're a foodie that lives in Portland, a local restaurateur scoping out the competition, or you're looking for a culinary adventure when traveling to Portland, Oregon in the near future– you have come to the right place! Foodable's Portland Top 25 Restaurants list is back and although it's primarily made up of Top 25 veterans, meaning this group of restaurants have landed on the ranking before, we are seeing some culinary gems return after a brief hiatus. Our top three restaurants include Ava Gene's at No. 1, which jumps from the No. 9 spot that it was on the previous ranking. This Italian eatery is known for it's upscale food served with hearty family style portions. The upscale bistro serving French fare, Le Pigeon stayed at No. 2 this ranking. And rounding out the top three is the New American restaurant, Coquine, which made an impressive jump from No. 21. Three of the restaurants, Quaintrelle, Urdaneta, and Revelry, that made their debut in the last ranking return again this month. Does this mean they are here to stay? Like we said, we have quite a few restaurants that made their way back on the coveted list. We welcome back the New American eatery, Aviary at No. 11, the elevated farm-to-table concept Nomad.PDX at No. 17, and the french bistro Little Bird Bistro at No. 25. Check out which other restaurants have returned below! One thing remains constant on the Portland food scene: the food. It’s phenomenal. And the greatness isn’t limited to a certain stable of establishments, as demonstrated by this month’s Top 25 PDX Restaurants. In fact, there are three newcomers to the Top 10 alone — Maurice, Langbaan, and Pok Pok. Portland is known for exotic Thai flavors and Langbaan and Pok Pok are putting Portland on the map. And, bringing French influences to the table, Maurice is a “modern luncheonette,” serving a variety of pastries, Nordic-French fare, coffee, and even cocktails. Also new to the Top 25 are Bamboo Sushi NW, which claims to be the world’s first certified sustainable sushi restaurant; Olympia Provisions SE, which has evolved from its days as the city’s first salumeria to being renowned for fine European-style dishes; Clyde Common, a European-style tavern; and Nostrana’s regional Italian fare. But don’t worry; the list hasn’t changed that much. 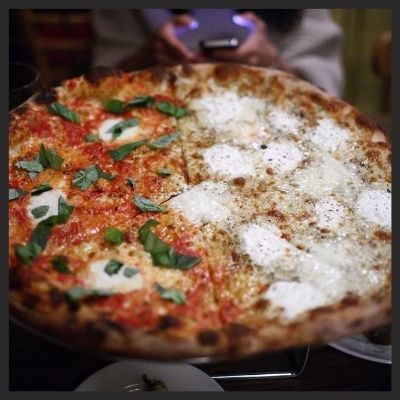 Some old favorites are still among the Top 5 like pizza fave Apizza Scholls, Taylor Railworks’ American cuisine, and Ataula, featuring a modern Spanish ‘tapeo’ culture. Check out the full Top 25 — old and new, tried and true — below, as ranked through the social consumer data by Foodable Labs. Local, farm-to-table favorite Taylor Railworks takes top billing on this month's Top 25 Portland Restaurants list, moving up from its previous position at No. 6. Run by fellow Top 25 ranked Little Bird Bistro veteran Erik Van Kley, Taylor Railworks serves up what Kley refers to as "Borderless American Cuisine," a fusion of flavors and dishes inspired by travel. This month's Top 25 list also welcomed several first-timers to the list. List newcomers include No. 20 Besaw's, No. 16 Bit House Saloon, and No. 5 newly opened food court The Zipper. The Top 25 Restaurants List returns to Portland, and this month witnesses a whopping seven newcomers to the list. First timers include the much-hyped Renata, which stirred up controversy when it was named Best Portland Restaurant after having only recently been opened. Other new restaurants include Taylor Railworks, Nomad, Coquine, La Moule, Farm Spirit and Bit House Saloon. Beast rose to No. 1, trading its No. 2 position with former No. 1 restaurant Levant, with Apizza Scholls rounding out the top at No. 3. This month, Le Pigeon also made an impressive leap from its previous position at No. 12 up to No. 7. Le Moule | Chrisi B.
Renata | Yelp, Don B.
Apizza Scholls | Kunhyuk K.
Levant makes its No. 1 debut this month with a Social Score of 176.31. Last month, the upscale Middle Eastern restaurant held the No. 2 spot. Ava Gene’s falls from No. 1 to No. 3, with a surprising comeback from Beast, climbing from No. 10 to No. 2. Also rounding out the Top 5 for August are two PDX Top 25 familiar faces, Ataula and Apizza Scholls. Interestingly enough, there were no new restaurants added to the list this month, which seems to be a recurring trend for Portland. What does this tell us? That Portlanders are loyal to their restaurant joints and that the overall dining scene amongst this group of 25 offers a consistent experience, more or less. All that being said, there were some restaurants that fell down the list pretty significantly this month compared to last, including Laurelhurst Market (from No. 7 to No. 22), Castagana (dropping to No. 17 from No. 5), and Davenport and Little Bird Bistro both fell ten spots. Hummus with spicy lamb, served with an egg on top | Yelp, Rudrajit D.
Linguine with clams at Ava Geene's | Yelp, Amanda L.
Duck Confit at Beast | Yelp, Tenni W.
Boneless pork ribs at Ataula | Yelp, Q H.